Strabismus, or squint eyes, refers to a condition of misalignment of the eyes. The misalignment can be horizontal, vertical or obliquely oriented. What are the symptoms associated with a squint? Children and adults adapt differently to squints and therefore experience squints differently. Young children will usually have no complaints but will have the temporary/persistent squint noted by the parents. This squinting may also be masked by one eye "winking" when exposed to excessive sunlight. In this age group, prompt intervention is required to prevent 'lazy eye'(amblyopia) from setting in. Adults with a new squint will complain of double vision(diplopia) and may adapt by closing one of the eyes to avoid seeing multiple images. What are the causes of a squint? Squints are broadly either due to an eye muscle weakness, an eye focusing weakness or a combination of the two. Primary squints (Infantile squints and Accommodative) develop early and are different from the secondary squints seen in adults that develop from vascular problems(Diabetes, Hypertension etc) and other neuro-ophthalmic diseases. How are the various squints managed? Each type of squint has a customized form of treatment for each person depending on the cause, the severity and the presence/degree of 'lazy eye'(amblyopia). A thorough examination by the ophthalmologist helps in classifying all of these factors and thereafter appropriating a treatment objective. 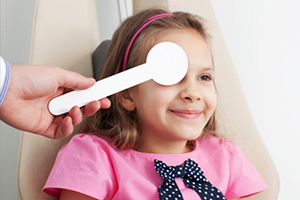 Amblyopia (lazy eye), if present, is treated with limited periods of eye-patching or special dilating eyedrops. Significant refractive errors (long/short-sightedness, astigmatism) are treated with spectacles/contact lenses with/out prisms. Botox injections into muscles can also be performed to neutralize the squint. These injections offer a temporary solution and need to be repeated after 4-6 months as the effect slowly wears off. Surgical correction to muscles may also be performed to correct any squints. Retinopathy of prematurity (ROP) is a potentially blinding eye disorder that primarily affects premature infants weighing less than 1250 grams that are born before 31 weeks of gestation (A full-term pregnancy has a gestation of 38–42 weeks). The smaller a baby is at birth, the more likely that baby is to develop ROP. Other contributing factors include anaemia, blood transfusions, respiratory distress, breathing difficulties, and the overall health of the infant. This disorder which usually develops in both eye is one of the most common causes of visual loss in childhood and can lead to lifelong vision impairment and blindness. Today, with advances in neonatal care, smaller and more premature infants are being saved. These infants are at a much higher risk for ROP. Not all babies who are premature develop ROP. About 90% of all infants with ROP are in the milder category and do not need treatment. However, infants with a more severe disease can develop impaired vision or even blindness. About 1,100 - 1,500 infants annually develop ROP that is severe enough to require medical treatment. About 400 - 600 infants each year become legally blind from ROP. 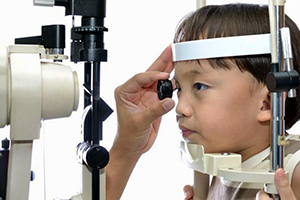 Infants with ROP are considered to be at higher risk for developing certain eye problems later in life, such as retinal detachment, myopia (nearsightedness), strabismus (crossed eyes), amblyopia (lazy eye), and glaucoma. In many cases, these eye problems can be treated or controlled. What are the causes of ROP? Several complex factors may be responsible for the development of ROP. The eye starts to develop at about 16 weeks of pregnancy when the blood vessels of the retina begin to form at the optic nerve in the back of the eye. The blood vessels grow gradually toward the edges of the developing retina, supplying oxygen and nutrients. During the last 12 weeks of a pregnancy, the eye develops rapidly. When a baby is born full-term, the retinal blood vessel growth is mostly complete (The retina usually finishes growing a few weeks to a month after birth). However, if a baby is born prematurely before these blood vessels have reached the edges of the retina, normal vessel growth may stop. The edges of the peripheral retina may not get enough oxygen and nutrients. Scientists believe that the periphery of the retina then sends out signals to other areas of the retina for nourishment. As a result, new abnormal vessels begin to grow. These new blood vessels are fragile and weak and can bleed, leading to retinal scarring. When these scars shrink, they pull on the retina, causing it to detach from the back of the eye. What is the current treatment for retinopathy of prematurity? The most effective proven treatments for ROP are laser therapy or cryotherapy. Laser therapy “burns away” the periphery of the retina, which has no normal blood vessels. With cryotherapy, physicians use an instrument that generates freezing temperatures to briefly touch spots on the surface of the eye that overlie the periphery of the retina. Both laser treatment and cryotherapy destroy the peripheral areas of the retina, slowing or reversing the abnormal growth of blood vessels. Unfortunately, the treatments also destroy some side vision. This is done to save the most important part of our sight sharp, central vision we need for “straight ahead” activities such as reading, sewing, and driving. This involves placing a silicone band around the eye and tightening it. This keeps the vitreous gel from pulling on the scar tissue and allows the retina to flatten back down onto the wall of the eye. Infants who have had a sclera buckle need to have the band removed months or years later since the eye continues to grow; otherwise, they will become nearsighted. Sclera buckles are usually performed on infants with stage IV or V. Vitrectomy. 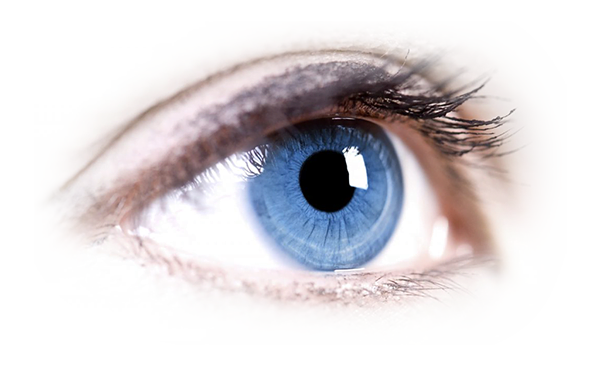 Vitrectomy involves removing the vitreous and replacing it with a saline solution. After the vitreous has been removed, the scar tissue on the retina can be peeled back or cut away, allowing the retina to relax and lay back down against the eyewall. Vitrectomy is performed only at stage V.
Retinoblastoma (RB) is a rare form of cancer affecting the light-sensitive retinal cells that enable sight. 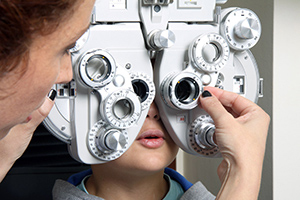 Although the disease is very rare, it is the most common ocular malignancy in children and the third most common cancer to affect children occurring in one out of every 15,000 births. The eyes develop very early as babies grow in the womb. During the early stages of development, the eyes have cells called retinoblasts that divide into new cells and fill the retina. At a certain point, these cells stop dividing and develop into mature retinal cells. Something rarely goes wrong with this process. Instead of maturing into special cells that detect light, some retinoblasts continue to divide and grow out of control, forming cancer known as retinoblastoma. The chain of events inside cells that leads to retinoblastoma is complex, but it almost always starts with a change (mutation) in a gene called the retinoblastoma (RB1) gene. The normal RB1 gene helps keep cells from growing out of control, but the change in the gene stops it from working as it should. Depending on when and where the change in the RB1 gene occurs, 2 different types of retinoblastoma can result. What are the different forms of retinoblastomas? Also known as a germline mutation. In about 1 out of 3 children with retinoblastoma, the abnormality in the RB1 gene is congenital (present at birth) and is in all the cells of the body, including all of the cells of both retinas. In most of these children, there is no family history of this cancer. Only about 25% of the children born with this gene change inherit it from a parent. In about 75% of children, the gene change first occurs during early development in the womb. The reasons for this are not clear. Children born with a mutation in the RB1 gene usually develop retinoblastoma in both eyes (known as bilateral retinoblastoma), and there are often several tumours within the eye (known as multifocal retinoblastoma). These children also have a higher risk of developing cancers in other areas as well because all of the cells in the body have the changed RB1 gene. A small number of children with this form of retinoblastoma will develop another tumour in the brain, usually in the pineal gland at the base of the brain (a pineoblastoma). This is also known as trilateral retinoblastoma. For survivors of hereditary retinoblastoma, the risk of developing other cancers later in life is also higher than average. In about 2 out of 3 children with retinoblastoma, the abnormality in the RB1 gene develops on its own in only one cell in one eye. It is not known what causes this change. A child who has sporadic (non-hereditary) retinoblastoma develops only one tumour in one eye. This type of retinoblastoma is often found at a later age than the hereditary form. Children with this type of retinoblastoma do not have the same increased risk of other cancers as children with congenital retinoblastoma. How does the retinoblastoma spread? If retinoblastoma tumours are not treated, they can grow and fill much of the eyeball. Cells might break away from the main tumour on the retina and float through the vitreous to reach other parts of the eye, where they can form more tumours. If these tumours block the channels that let fluid circulate within the eye, the pressure inside the eye can rise. This can cause glaucoma, which can lead to pain and loss of vision in the affected eye. Most retinoblastomas are found and treated before they have spread outside the eyeball. But retinoblastoma cells can occasionally spread to other parts of the body. The cells sometimes grow along the optic nerve and reach the brain. Retinoblastoma cells can also grow through the covering layers of the eyeball and into the eye socket, eyelids, and nearby tissues. Once cancer reaches tissues outside the eyeball, it can then spread to lymph nodes (small bean-shaped collections of immune system cells) and to other organs such as the liver, bones, and bone marrow (the soft, inner part of many bones). Treatment options depend on the size of the retinoblastoma, the number of eyes involved, general health of the individual, presence of spread beyond the eye & the amount of salvageable vision. Enucleation (removal of a tumour infested eyeball).